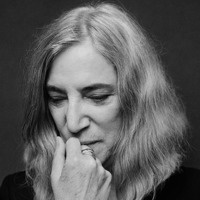 Just Kids, Patti Smith’s memoir of New York City and Robert Mapplethorpe, won the National Book Award. Critics regard her 1975 debut album, Horses, as one of the best of all time, and she is a Rock & Roll Hall of Fame inductee. Her name appears on Time’s list of the 100 most influential people in the world as well as Rolling Stone’s list of the 100 greatest artists. Ms. Smith’s other books include Witt, Babel, Coral Sea, M Train, and, most recently, Devotion, an intimate account of her own creative process. Just Kids is currently being developed into a TV series for Showtime.